WELCOME TO THE TEXPART PARANORMAL LLC! Serving North Texas, including Mckinney, Denton, Plano, Garland, Gainesville and areas surrounding the Dallas / Forth Worth Metroplex. 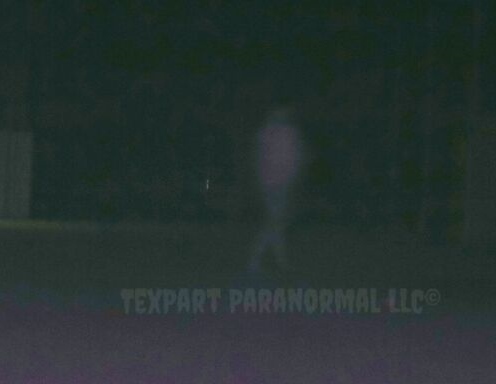 TEXPART is an experienced paranormal investigation and research group located in north central Texas. Our team believes in investigating thoroughly, completely, confidentially, and to the best of our ability by using all appropriate means possible. It is our goal to help you by finding answers and/or explanations to your paranormal problems. We promise to take your claims seriously and do our best to find solutions to your paranormal problems. If you believe that you are experiencing paranormal activity and would like to have a free consultation, please fill out the contact us page and submit the completed form to texpartofc@gmail.com. Our investigations are free to those within 30 miles of the Collin County Texas area. For those outside this area our investigations are still free but a trip charge may charged depending on how many miles we have to travel and the details of the investigation. TEXPART was founded in 2005. Founder JJ Rice has been a paranormal researcher since late 1997 and active in the paranormal field since the 1980s. JJ and many other Texpart team members have had experiences that could not be debunked or simply explained. After spending 4 years in a home in Iowa that provided many unexplainable paranormal and sometimes very frightening experiences, JJ joined a paranormal research group in Iowa, Des Moines Iowa Paranormal Advanced Research Team (DIEPART). After moving to Texas and only after DIEPART's approval, the DIEPART (Iowa Ghost Hunters) sister group- Texas Paranormal Advanced Research Team or "TEXPART" -was created. 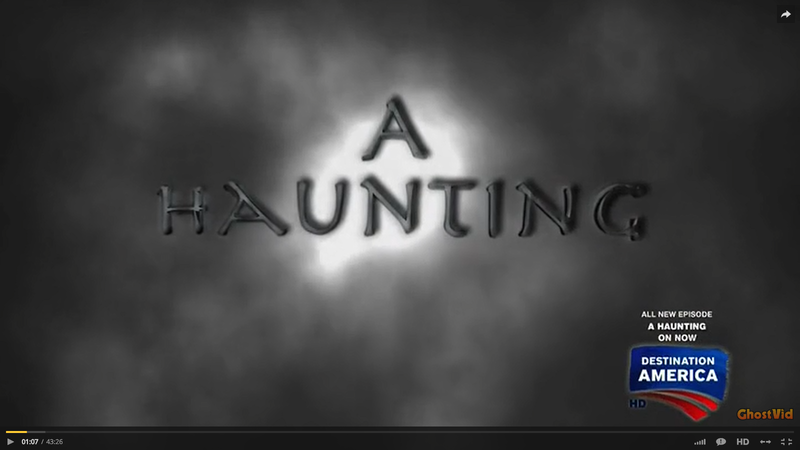 JJ's story of the mansion in Iowa and the many paranormal experiences has been featured on Destination America's "A Haunting" in an episode titled "Demon Unearthed". To see this incredible story, Click here. Texpart has been an active, professional, independent north central Texas group for over 13 years. We are well trained in paranormal research, survival of consciousness theory and investigation. As a family affiliate member of DIEPART (family member of TAPS) Texpart was expected to adhere to the same detailed and professional codes of conduct and ethics as our parent group. Now independent, Texpart still adheres to those strict rules of conduct. This insures that, you as the client, will get the best care and services possible. Do you need equipment? Check out our friends at Ghoststop!! Please help us continue our services Free or low cost. 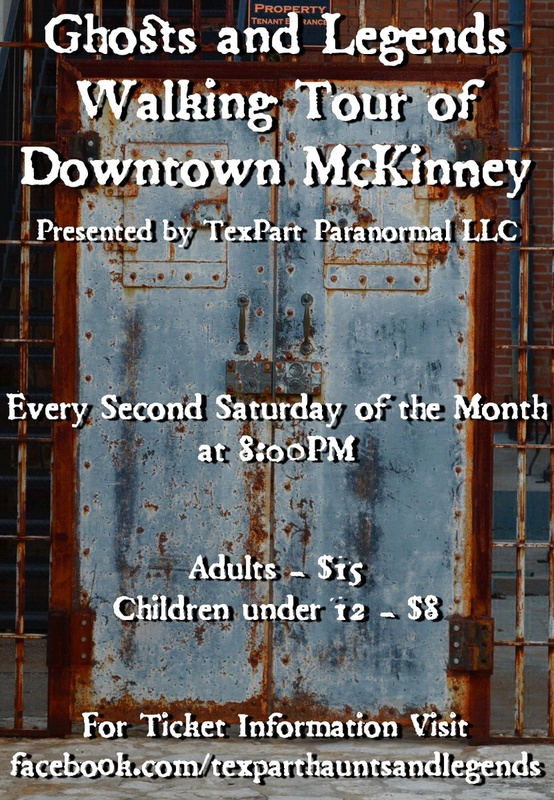 Donations not only help TexPart but also help fund future McKinney Ghost Walk presentations, future Lecture Series events and help our friends at Chestnut Square with the upkeep of their beautiful historical buildings. Personal Paranormal Encounter Part 1 - "The Tracksuit Man"
My Paranormal Story - Personal Experiences In This House. Spirits get active during investigation, Footsteps, Dragging sounds and EVP's!